We work alongside our clients at all phases of recovery, teaching them how to live independently. With Centers in Fairfax, Mt. Vernon, VA, DC and residential sites throughout Northern Virginia, PRS offers a comprehensive array of programs including the Recovery Academy, Community Housing, Employment Services and Community Support Services, and PRS CrisisLink, a 24/7 suicide prevention and crisis intervention hotline and textline. 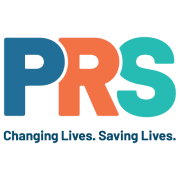 Would you recommend PRS, Inc.?